It's not the primary question for me this year. 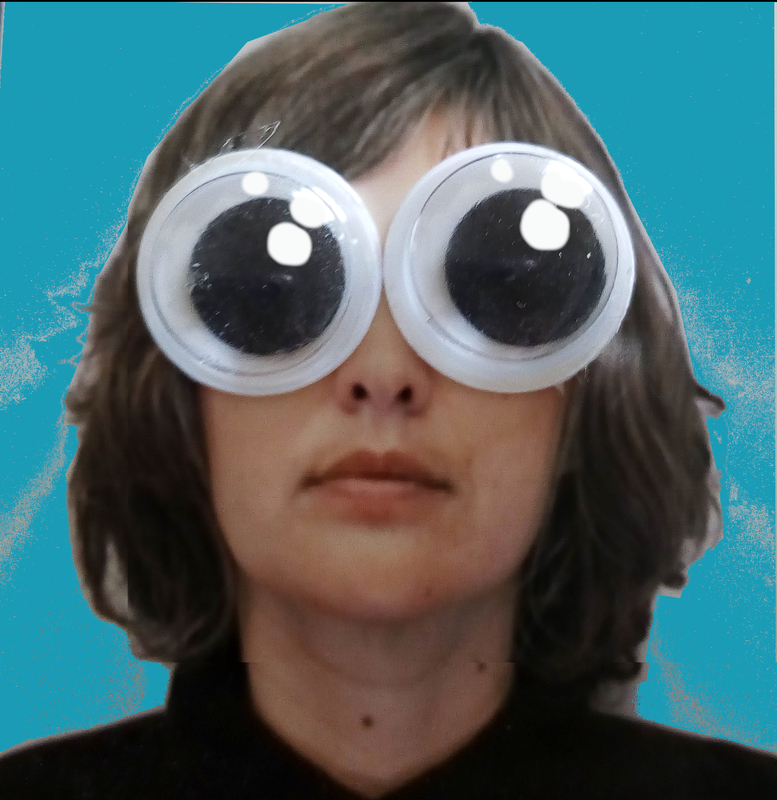 It's more How to send cards. I'm kinda caught between two cultures and gift giving seasons (not too many Japanese people exchange Christmas gifts, what I mean is those gifts for the new year like Oseibo and otoshidama), so I'm not always sure what I want to bother doing. I've done homemade versions of new years cards (nengajyo) in Japan, but this year, I'm focused on Christmas cards. It's been so long since I've sent any at all, and they were more like Chinese New Year cards by the time I sent them out anyway. Usually they were something random I printed up, because I've never been super into sparkly store bought Christmas cards. The reason I decided to go for it was that I thought cards would cheer up my widowed grandfather and my nephew who goes nuts over Christmas. I thought everyone else would be happy to get any mail, as usual. By everyone else I mean my parents and a few close friends. Before in the Q&A section, there was some discussion about finding greeting cards in Japan that are affordable and in English. Places like 100 yen stores are usually a good bet, but I prefer the Sanrio stores. 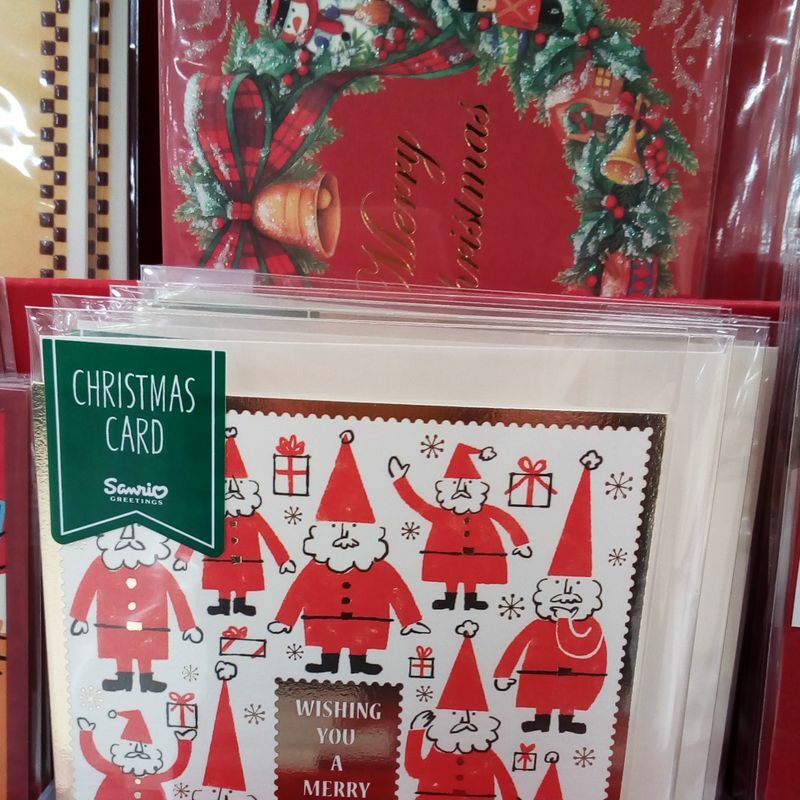 The regular size Christmas cards I found (photo above) are 200 yen and there are a few good options in English at my local store. The pop-up variety is only 300 yen and they also have smaller and larger sizes of cards. Sanrio also sells Christmas postcards and cute character (think Hello Kitty and My Melody) nengajyo style postcards (3-5 packs for 200 yen) that you can print your photos and addresses onto. Another place I like to check is my local recycle shop that has tons of new greeting cards for under 100 yen. 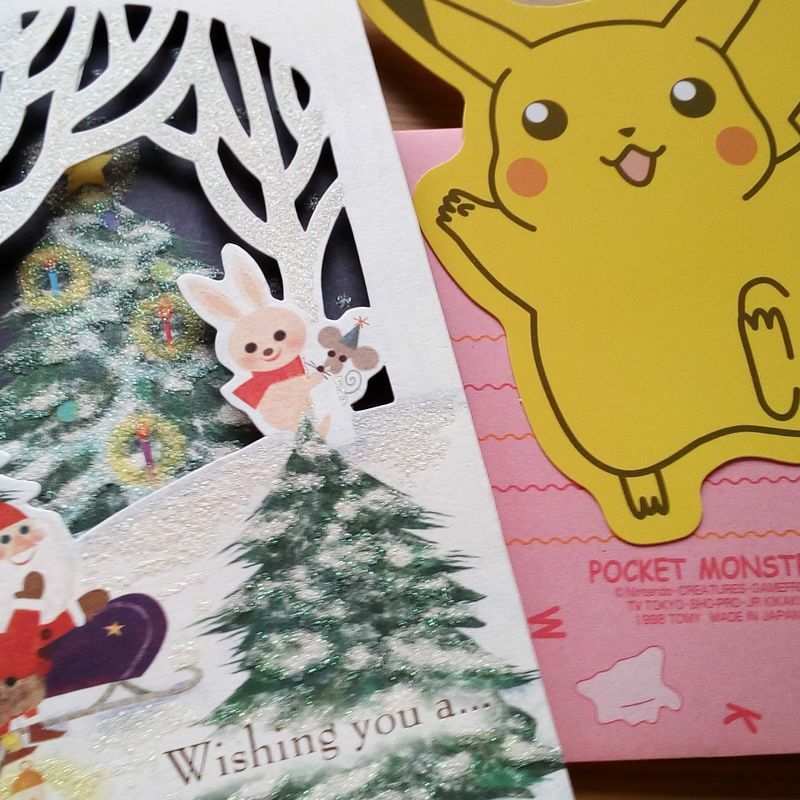 I found one especially glittery Christmassy (Sanrio) card there for my nephew for 50 yen and a vintage Pokemon card set for my artsy niece (photo above). 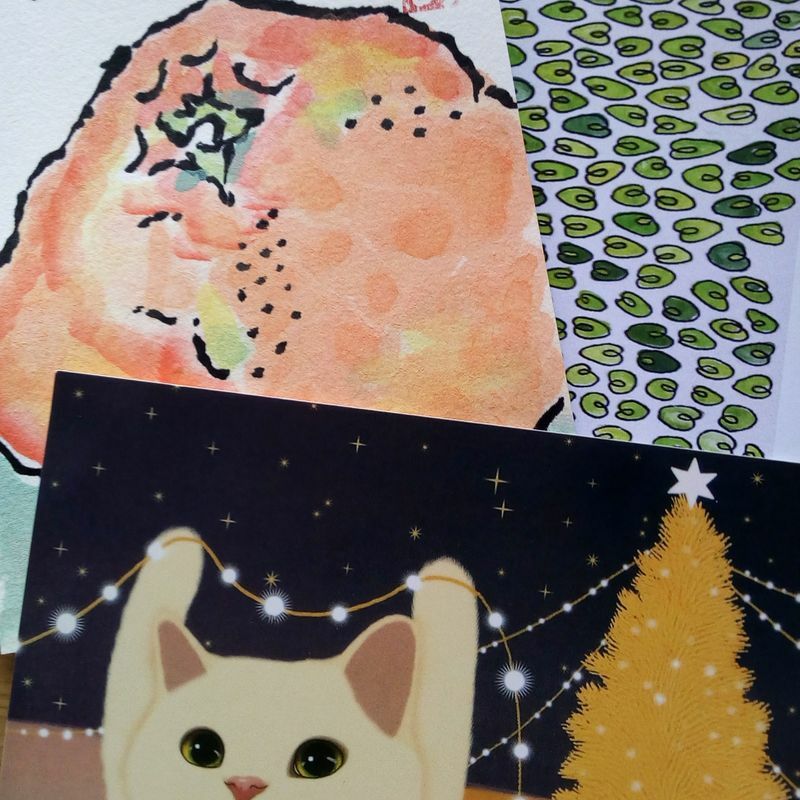 I have plenty of gifted souvenir cards and random cute postcards. I especially like the Jetoy / Choo Choo Cat Christmas postcard in the photo above, but have used it as decoration last season and it's time to pass it on. Also planning to send out the homemade postcards - one I made at a free picture postcard painting taiken at a cultural festival. I'm realizing that instead of buying new things and giving gifts that would become clutter, I'm using up things I already have, further decluttering my own home. My family hasn't exchanged Christmas gifts in a loooong time after realizing we all have enough. (They gave up on me buying gifts or giving gifts for any traditional reason before that.) It's not necessary when we'd rather enjoy each other's company. Shopping in the crowds seems insane to me. They've been content with a phone call in recent years, but will be happy to get cards this year. What's your usual and the plan for this year?